Platz Custom Homes (PCH) of Mequon, Wisconsin, is a full-service new construction company, specializing in high-quality custom homes and customer service. We are proud of every home we build. Big or small, the same quality and individual attention is paid to each project as if it is our own home. We are not a large builder. Instead, we have chosen to build a smaller number of first-class residences that are custom designed for your lifestyle. Your concerns and needs are important to us, so we listen to your ideas for the ideal property and work to make them a reality. Platz Custom Homes (PCH) was created to continue the tradition of affordable, top-quality homes that began at Chamberlain & Platz. Owner Randy Platz started Chamberlain & Platz in 1993 after realizing the need for a true custom builder in the marketplace. He has more than 15 years of customer service and management expertise acquired before he became a builder and real estate agent for Shorewest™. Randy uses his 20-plus years of custom home construction and real estate experience to provide you with well-rounded customer service and market knowledge. When you select Platz Custom Homes (PCH), you choose a true custom home builder dedicated to making your dreams become reality. Our best salespeople are our past customers. Most of our customers are buyers who have been looking for the perfect house that just doesn't exist. If this is you, we will help. We have existing plans or we can start from scratch and design the perfect house for you and your family. If you already have your own plans, we will use them. At our construction company, we're very flexible and will provide you with the best service possible. 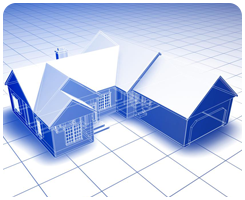 Receive a free site evaluation for your custom home project.